i have a easy Question/Request. Is it possible , that EFB automaticaly load the Flightplan from Flightsim (P3dv4 in my case)? The reason is, there is a tool running for me, which loads the flightplan automatically in the flightsim. So it waould be very nice, not to save the flightplan extra for EFB and to load it again there. Yyes, you can use the "uplink" folder. This folder accepts various formats, amont others also the "*.pln" format used by FSX and P3D. See also the manual "6 Flightplan", chapter "2.3 Flightplan via Uplink". i know this, read in the Manual, but as i say, there is a tool which loads the flightplan in fs. The double work is to do the same again in efb. no, this is not possible as EFB v2 does not read flightplan data directly from the simulator. I'm afraid that you will have to suffer from that additional work or - alternatively - aske the delevoper of your tool that it shall allow for multiple transfers of the flightplan e.g. using the uplink folder. also double work, bu i have another idea. Maybe i can create a symlink to the P3dv4 fpl folder. sorry to bump this thread and some others - content wise. How ever, pulling active flightplan data automatically from the sim and updating the visualization in the EFB is excatly what I would expect from an EFB! More on that - it is perfectly in sync with your envisioned big picture that is intended by the uplink feature in the first place. All default planes use the flightplan in the sim as their 'FMS/GPS' source. Many ATC tools like Pilot to ATC use it too (P2ATC can be configured to update (complete) the sim FP after SID / STAR / APPROACH assignments where given and cleared). So importing/syncing FP data from the sim with the EFB would be the most logical way to integrate an EFB into the sim. With your current approach, Aivla EFB needs to pull the FP data from the 3rd party FMS or the 3rd party vendor needs to publish the actual FP to the Aivla EFB (e.g. using something like the uplink folder). For all the default planes the P3D Team would need to use your uplink feature too..!? Guess this will not happen any time soon. So syncing the EFB with the sim FP would make Aivla EFB working IMHO as expected from any EFB in case the sim FP is changed. Actually the sim FP is updated by Aivla EFB already in case the user changes the FP in Aivla EFB. Both features together with all the other stuff we have already in Aivla EFB, would make Aivla EFB a full featured FMS for all aircraft using the aged default GPS. So the business value for Aivla and the community of this sim/EFB FP live sync feature is way higher and fully under your control to be implemented soon. The uplink feature is nice too, though it needs support of others that may never come any time soon. As an AddOn developer of a proprietary FMS (like PMDG or like) I would choose to publish the FP to or even bidirectionally sync my FMS with the sim FP rather than implement an additional interface to any other 3rd party vendor like yours, because of the same reasons you ceased to implement FP exporters! The sim itself should be the master for 3rd party AddOns to pull and feed flight plan information to/from (Hub and Spoke approach rather than a n:m network approach). Anything else would seriously violate the idea of an open sandbox everybody can easily connect their extensions to. Don't get me wrong. 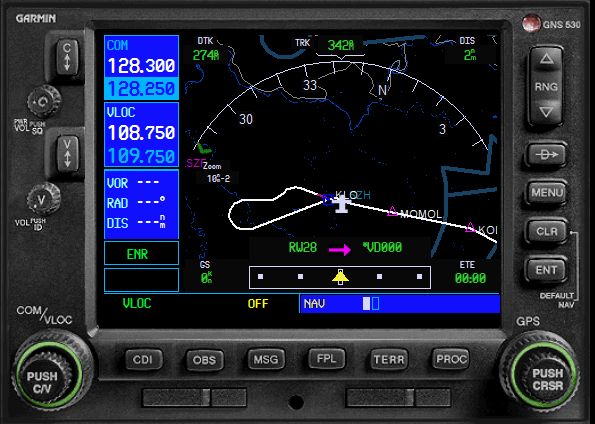 Aivla EFB V2 is a great tool that have come a long way. But with the V2 we lost some integration paths that IMHO need to be replaced to keep the usability or usage value we had prior to V2 and expected to have continued. At the end of day, it's not a real EFB for real live usage. It's a EFB like 3rd party payware Addon that should easily integrate in the sim ecosystem we have today. We have no scheduling, planning or ATC staff that provides us with data and stuff. Most of us are lonely simmers and everything that reduces work load or number of addons to be used is highly appreciated. Aivla EFB might not be intended to be a flight planning or FMS tool - fair enough. How ever, a lot of your customers use it as such very enthusiastically though. And as such we need a bidirectional sync option with the sim FP that ideally impose NO extra workload or manual tasks and works any time the sim and Aivla EFB is up and connected. Be it airborn or at the ground. From my point of view, such a seamless integration would make me pay money for. Others may tune in too. Thanks for your valueable remarks. A 2-way-sync might be possible to implement to work with the default GPS, but not to the customised FMS of the various addons. So, the benefit would be "only" for those using an aircraft actively updating the default GPS. For complex aircraft, this is usually not the case IRL, as there are either aircraft specific integrated "light" versions of EFB and/or a standalone application on a (mobile) device in use. Those are usually not synchronised. Synchronisation exists on systems where the provider for aircraft components also has developed an application for mobile devices, which offers the option for synchronisation. But FMS of airliners in general don't offer such functionality. I understand that it is a bit of an effort to keep the EFB updated with the current routing. However, this workload is quite low. I would like to better understand how you process flight plans to your aircraft. Where do you create your flight plans (tool, format)? I estimate that there is some potential to make flight preparation more convenient and quicker when changing the working steps a bit. i will try to explain how i use the Flightplan in FS. I am building a Homecockpit with Prosim737. So ia have the Flightsim also from there and it is a B737-800NG, but they only updated the AIR File for the Standard Model. So, after i have created my Flightplan with PFPX, i export them to Aivlasoft and also to FS. The Reason , why i export them to FS is Active Sky. If you load a flightplan into the FS GPS, then Active Sky see this and load the Flightplan FROM FS. If a Flightplan is loaded then in Active Sky, you can tune in 120.00 for the actual weather at the Flightplan Departure, 120.02 for the Destination ( if iam right ) and 120.05 for the ernroute weather i think. Can also be 120.02 and 120.05 is visa versa ... sorry, i am not on my PC at the moment. Also Active Sky can produce a better weather for the Route if a Flightplan is loaded. To load the Flightplanin the Flightsim i have written a little program, which loads the FP automatically , wenever a Route is planned in the FMC of Prosim737. The Reason doing that is because i dont want to use a Keyboard or mouse in the Cockpit, that is the reason why i want to have this automatically. So, if i have not exported a Flightplan from PFPX for the programmed Route in the FMC, the a blank Flightplan is created by my little programm and loaded into Flightsim. After that Active sky reads that plan and i can get actual weather from ASN for Departure, destination and Enroute fully automatically. If now EFB would be possible also to read a updated FP from FS automatically, then i must not enter the Flightpan in EFB. That would be cool !! This can be done already using the 'uplink' function. Please see the manual "6 DE Flugplan.pdf", chapter 2.3 for a detailed description of this feature. I think you misunderstand me. I know about the uplink directory. If i save a file inside it will be seen from EFB and loaded. BUt that is not what i explained. For 1) you could also use your own 'little program' to write a copy of the flight plan not only into the Flight Simulators flight plans folder, but also into the uplink folder from EFB? For 2) I would have to update/enhance the code of the EFB Server to observe the loading of a flight plan and then take some action. Please consider option 3) as well. 3) Any 3rd party tool updates/changes the flightplan within the sim. So only watching for a loading event initiated by the p3d gui would be not enough. Any change, any time introduced from whatever source to the flightplan in the sim should be recognised by the efb server. A perfect solution might have a efb server config option too that defines how such a sync behaves. Think in most if not all cases there will be only one valid and easy to find solution for that puzzle. Any change, any time introduced from whatever source to the flightplan in the sim should be recognised by the efb server. of course, there is an option 3, but this is only related to a file-watch for file changes in the respective flight plans folder. As far as I know there is no possibility to recognize a flight plan change in the sim, without a write of the flight plan to the folder. I can check for a flight plan load event, but not for a flight plan change. The latter would also require to read the flight plan details out of the memory. If I'm wrong please let me know. It's all a question of 'having enough time' and also of 'finding the right information' in the file. I do of course understand the ideas and questions that come up here, but I stll fail to understand WHY a Flightplan/Routing should be transferred FIRST into the Simulator (FSX/P3D). I understand that some people have nice goodie apps that are able to transfer directly into the Sim, but this is what EFB v2 does all the time. The moment you enter a Flightplan/Routing into EFB v2, it is also transferred into the Simulator. So, again: why into the simulator first and require some extra effort if all is done with one click anyway? The Default GPS is not capable anyway to display anything else that point-to-point routings. Sophisticated things like Intercepts, RF Legs, AF Legs are completely unknown to the GPS and must be interpreted by EFB v2. What kind of Changes/Manipulations in the GPS Flightplan do you intend to exercise? Adding Procedures? Adding Waypoints? Direct-to? All this can be done by far more conveniently in EFB v2. Furthermore EFB v2 also allows you to change a complete FlightPlan/Routing inflight, without ever interrupting the Simulator. ActiveSky does read the most recent *.pln file in the "C:\Users\<Username>\Documents\<Simulator> Files" path automatically, it the respective function is enabled. This is always done by reading the "EFB_current_gps.pln". So again this does not require additional inputs. 2) is right, but clearly i mean, that EFB is automatically loading the FPL from FS without saving any file or something. Why would you require analyzing waypoints to recognize procedures, if all complete procedurs are available in EFB v2? because i have the PFPX to plan my Flight. I never do this in the cockpit , why should i ?? Did you ever see a Pilot planning his flight in the cockpit ?? I never have to know that, becuse ASN is reading the Flightplan from FS, which is loaded and i did that bevore i step into the cockpit. You are describing different ways of getting the flight plan ready. On one side, you state that PFPX is used to plan your flight. On the other side, you state not doing exactly this. So, if i have not exported a Flightplan from PFPX for the programmed Route in the FMC, the a blank Flightplan is created by my little programm and loaded into Flightsim. The more (software) components are involved in a cockpit, the more important is a central distribution point. EFB is not designed for this, nor is the FSX/P3Ds default PLN. As you have PFPX available, use it wisely. There is an export format for ProSim which will create a company route, which can be loaded via the FMC in ProSim. This is the best way to ensure all data ProSim can interpret is actually delivered to the FMC. ProSim is highly specialised software to simulate specific types of aircraft (B738/A320). Don't expect a synchronisation will be possible from its system to other software unless a specific function is designed for this. Now you have EFB and AS left. Forget the solution with AS reading the sims default PLN! Why would you use this format with a software like ProSim? But you have to deliver the flight plan to EFB. Either use the AivlaSoft EFB format and export it to the Routes folder of EFB. The route will then be available in the company routes of EFB for your to load. If you choose this approach, you have to complete the flight plan creation dialog until the last (3rd) step and save the plan there. But even easier and already explained by Oski, ASN allows you automatic detection of the last modified flight plan. As EFB writes its EFB_current_gps.pln to the folder anyway, you only need to activate the respective option in ASN and it will automatically load this plan. How smart is that? Now, be even smarter and use the uplink function of EFB. This will remove the working step of selecting the company flight plan in EFB. So besides the ProSim export in PFPX, link the FSX/P3D flight plan format to the uplink folder of EFB. Preferably, use the uplink folder of the EFB server. Then the popup whether you wish to accept the flight plan is shown on all clients running. One EFB client could be running on the same machine as PFPX, then you can accept the flight plan right away and EFB is ready when you join the cockpit. No other export from PFPX is required. EFB will distribute the flight plan from the uplink to all clients, create the PLN file which makes ASN to automatically load this flight plan as well. If you update your route via EFB at any point, ASN will know about and keep track. That's all you need! PS: If you wish to improve your cockpit experience, try to use ProSimUtils. This is a tool to simulate various ACARS functions. It can be used to get your flight (callsign, ORIG, DEST) and route information via a simulated VHF link. You can even add performance calculations with TOPCAT in the background, all delivered in ACARS messages to your CDU. Having setup such a setup myself, I can highly suggest it. It's a lot of fun and so different than typing your flight plan or loading the company flight plan directly in the FMC. Linked are two videos as inspiration. i really know ProsimUTILS. Not bad, but not for me. I think i must better explain, what my program is doing and what i expect from it. I plan may flight in PFPX and export the plan to MY SERVER. Then i go in the cockpit and start all PC's and also the little Tablet with EFB Client. the Flightplan. Then the FLightplan will be loaded in FS via my Program. to the Uplink Dir of the EFB Client and EFB bring up the message and i have the Flightplan in EFB. Failures or something like that. Now i have no Flightplan file !! then also AS can give me the Weather for DEP and DEST. And that is the poiint where i need EFB to load at least DEP and DEST from Flightsim. Then tell your program to copy the plan also to the EFB uplink again. No need to omit this step. I basically says, it doesn't matter which *.pln is changed in the mentioned folder. ASN will, if you enable the function explained in my previous thread, which I highly suggest, read the latest *.pln file. At the moment an EFB flight plan is generated, EFB creates the EFB_current_gps.pln, which is then the latest file. And ASN will consequently read the EFB*.pln file from then on. Ahh, i must chek that tomorrow. But it just did not matterif a file is in the Documents/Flightsim Files Folder. ASN reads the Fllihtplan from FS GPS directly with that funktion in ASN enabled. So it is not needed to save a file in that folder if you want ASN to have a flightplan loaded. That's why you need to change this so ASN does track the changes made with EFB. Otherwise, it won't. It's as simple as that. True. But if you want ASN to follow the changes made in EFB, you will need to. Now you mixed something wrong. First i have written, ASN reads the Fllihtplan from FS GPS directly with that funktion in ASN enabled. What should i change ?? I have this funktion ENABLED !! Then i write: So it is not needed to save a file in that folder if you want ASN to have a flightplan loaded. True. But if you want ASN to follow the cha﻿nges made in EFB, you will need to. I will need to do what ?? The option is ENABLED AS WELL in my ASN ! Well, I was really mixing up some things. Or I forgot one point. I think in AS16, the direct file read is possible, but this is not possible in ASN. You need EFB to do the transfer of the pln to the FS GPS. This is why you need to ensure that in the EFB aircraft profile you use, the corresponding option is activated. Then EFB will continuously update your FS GPS. And ASN will read those updates as well. Ok, i can try if that orks, but tht is not what i want. That , what you explain may work, but i need it directly the opposite way. My Programm is loading the Flightplan into the FS GPS. into the FS GPS, then ASN i knowing about that and now i need also EFB to know just DEP and DEST. That is what i need, in that direction because i dont want to program it in EFB or anywhere else then in the Prosim FMC. You have to be a little bit open minded for new approaches. This software won't be redesigned just to fit your setup. It will all work, if you take EFB to "feed" your FS GPS, which it does if the "forward to default GPS" is activated. So you should use PFPX to send PLN to the uplink of EFB or EFB itself to create a new flight plan (your scenario 2). Thank to the forward function, EFB will immediately and independend, whether it received a flight plan from PFPX or if it was created directly on EFB, forward this to the FS GPS and so ASN will also be updated. I think, then you can even in ProSim load data from the FS GPS. And then you have all systems updated. The only bit you have to change is acknowledge that EFB will from now on forward any received or created flight plan to the FS GPS. Everything else stays as it is. But i thought EFB is open for user request changes.